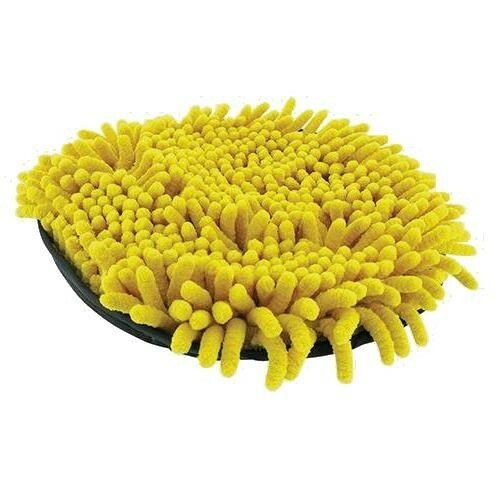 Brand New Microfibre Noodle Wash Mitt 2-in-1 wash mitt. Mesh pad for cleaning stubborn dirt and dead insects from windscreens and headlights. Highly absorbent 'microfibre noodle' side removes dust and dirt. Internal finger strap inside mitt helps to keep it firmly attached to your hand.